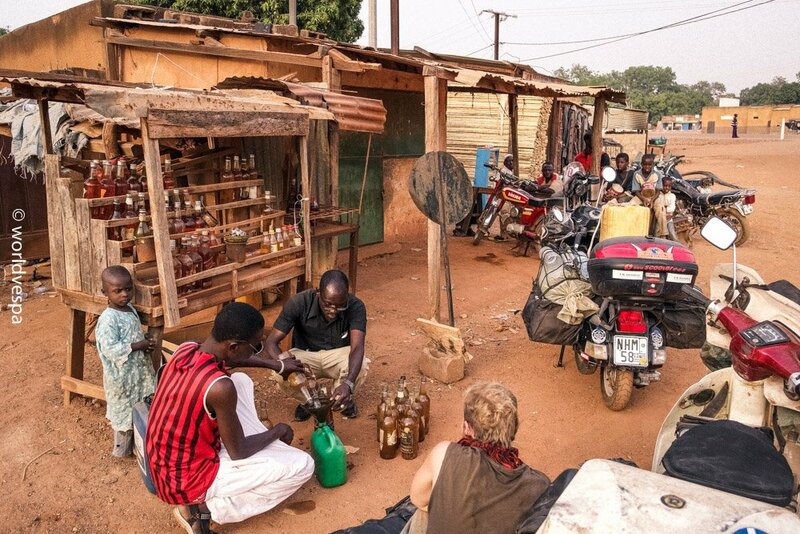 Burkina Faso or “The country of honest people”. I don’t know if it is the country of honest people or of whatever kind of people, but for sure, it is the country with the less bureaucracy until now. 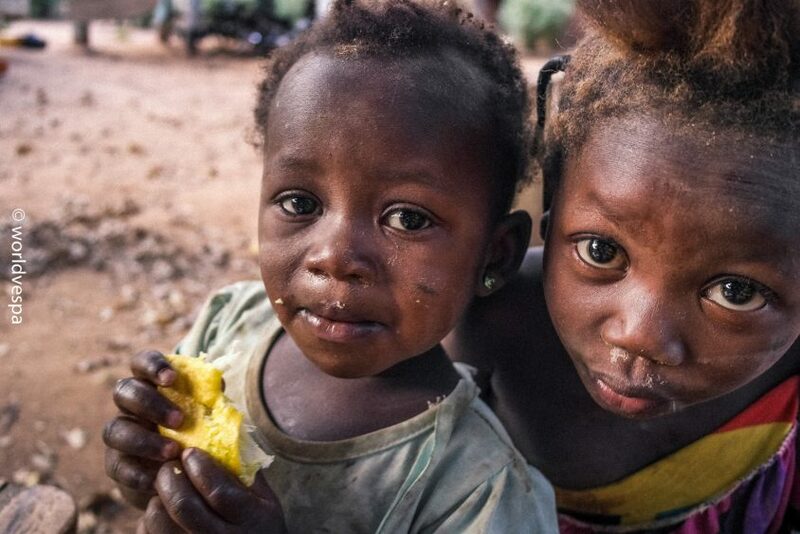 Three days ago, we had left from Bamako and we had said “goodbye” to Mali, this really dangerous country, for which we had read the worst and we had seen hundreds of red and orange alerts and warnings on the websites of all the ministries of foreign affairs…not true at all! We had the best and sweetest memories from Mali! 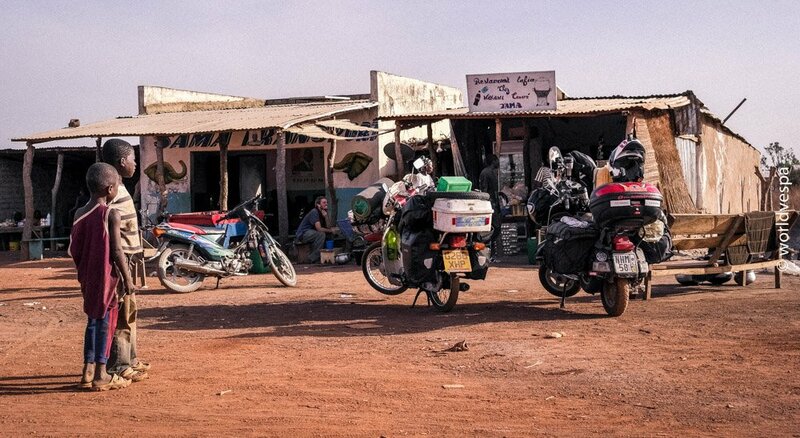 Compared to all the corruption and bureaucracy in Senegal (especially in the North), Mali was a paradise! 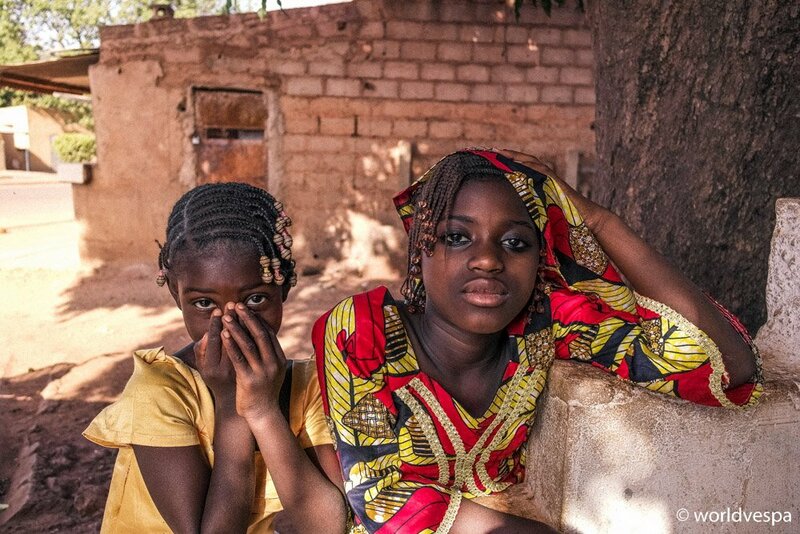 Of course, in Senegal the people – the simple, honest, everyday people – were very hospitable and they had nothing to do with the corrupted civil servants working in the system! After leaving Mali, we were entering a new country for which I knew only few things, most of them from travelers I had met and of course from Liam, the English guy I was traveling with (Thanos had left and had gone back to Greece some time ago, when we were in Senegal), who was telling me that he had heard nice things about Burkina Faso! I’m not ashamed to admit that I don’t know much about History or even Geography and that the only books I’ve read are some magazines about cars and motorcycles…Now that I’m thinking about it, there are many people who had predicted which path I would follow in my life…”Your son is like a tourist in the school, madam! He comes and goes whenever he wants!”…those were my teachers’ exact words to my poor mother every time she was asking about my progress! 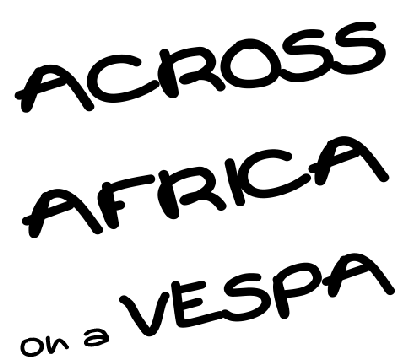 I have to be honest with you and admit that your knowledge on scientific matters will not advance much through this vespa-travel-photography-spendsometime blog! It’s 10 steps away from the library and 9 clicks away from the wikipedia! But I promise that I’ll do my best to profit from this journey, learn a lot and try to become a better person! 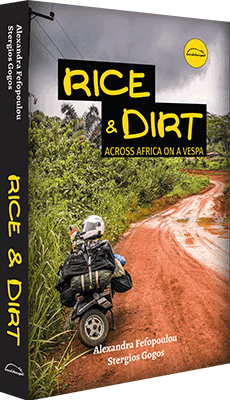 Burkina Faso Vespa trip from worldvespa on Vimeo. I don’t know what has happened to us lastly, but we have changed a lot our way of traveling. I already knew that Liam is too “cool” with no signs of stress, but I couldn’t expect the same thing for myself! I had fully adjusted to that lifestyle! We would now begin our day not earlier than 9.30 and that, only because the sun was forcing us out of our tents by “burning” them! In that temperature, the water for our coffees was already hot enough before we had even waken up! 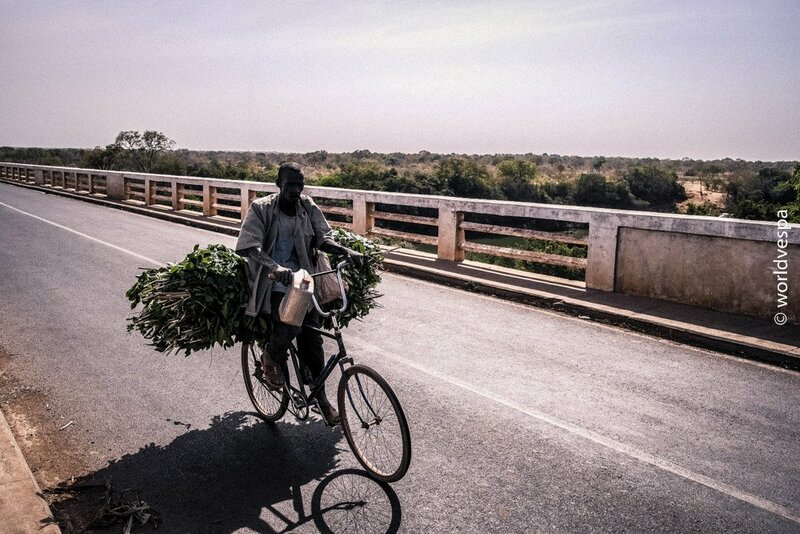 The day we left Bamako, the time was already 16.30…three or four hours before sunset! 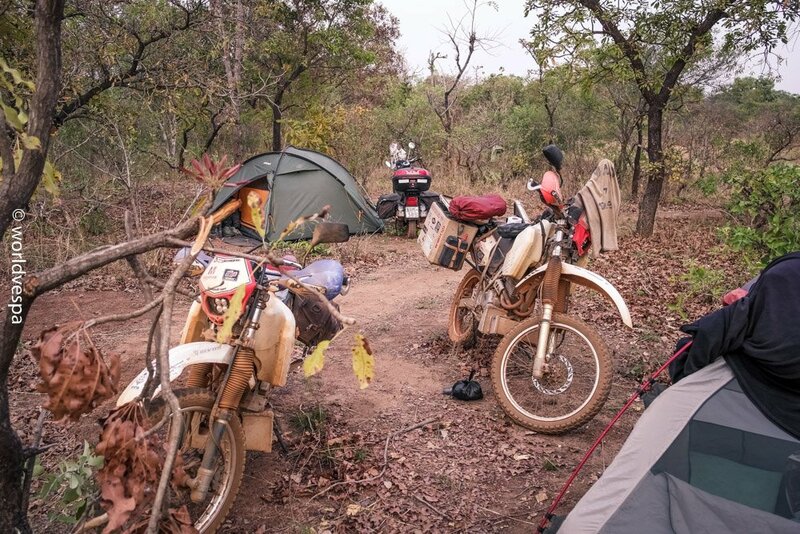 We managed to travel for 30-40kms and then we pitched again our tents to sleep for the night. We got at the borders a bit late, around 17:00 but we hadn’t realized it. The last days we had been living in an other dimension, a parallel universe, lost in our thoughts and in our everyday problems: what was the new problem Liam’s motorcycle had or what would be on the menu for today! We didn’t even know what day it was! The procedures at the borders were very easy on both sides. The police officers in Mali didn’t even ask for our papers, they just greeted us and let us pass (probably hoping that they would never see us again in the future!). 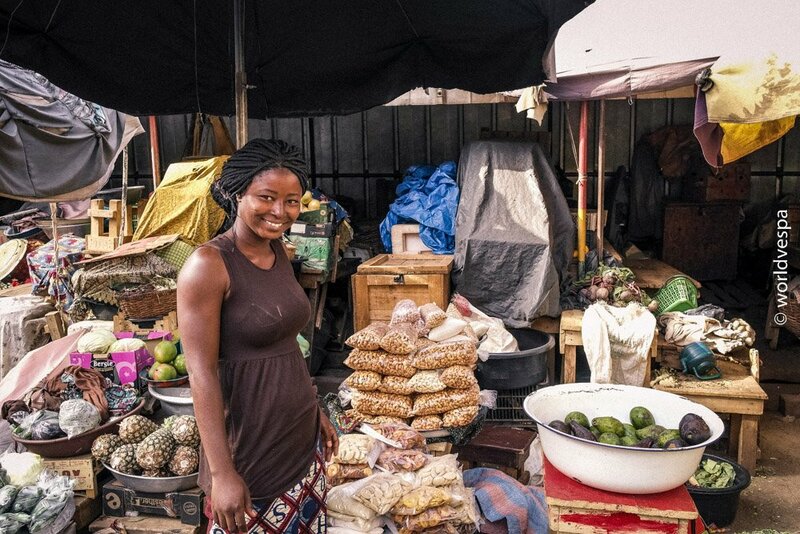 Were we already in Burkina Faso? We didn’t have any idea of where we were…Usually, “no man’s land” is not a very big area, only some hundred meters, but this time we had been traveling for some kilometers and we weren’t in Bukina Faso yet. Liam started getting worried that we hadn’t noticed the customs office or the police station and we had entered the country with no permission. “Not bad at all! We will have some more empty pages in our passports!” I told him, and that didn’t make him feel better, but in a small distance we saw the flag of the country and some buildings (or better: some huts): the police station and the customs. There was almost no one there waiting, so the police officers had enough time to ask us too many information about us and our motorcycles! What we were doing was unbelievable to them! This time, we went together into the police station and not followed the usual plan which was “one goes in, one waits outside”. We changed our usual pattern only because the police station was a kiosk with only one table and two chairs! With the most kind smile on my face, I politely asked for the permission to take a picture to keep as a souvenir, but due to high security measures followed strictly by the state officers, they didn’t allow me to take the picture of the…police kiosk! Only the flag…What an honor! It was already 17:30 and we didn’t have much time till the sunset. We had spent half an hour at the customs and Liam had also spent 5,000 CFA for not having a “carnet de passage”. 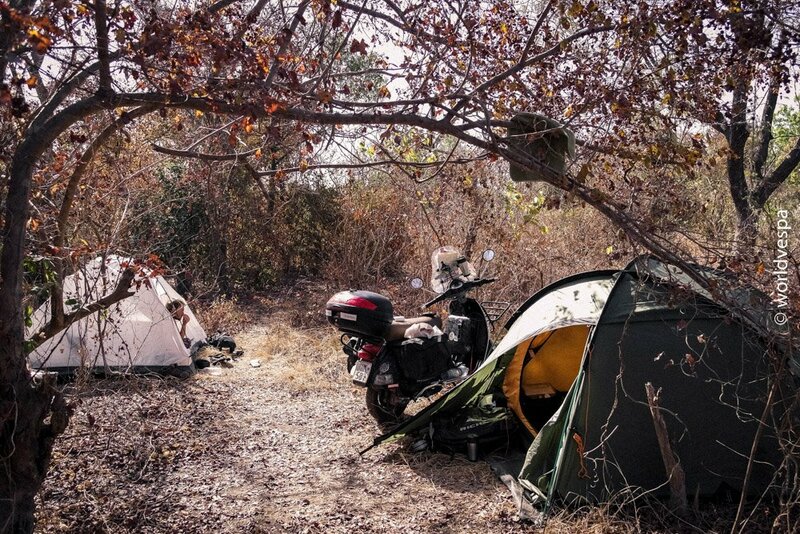 Not more than 30 kms away from the border, we found a nice and quiet spot to pitch our tents. We avoid any kinds of hotels. The last time I slept on a mattress, was in Western Sahara. The only money we spend on accommodation is when we don’t have any option but to stay in a big town. 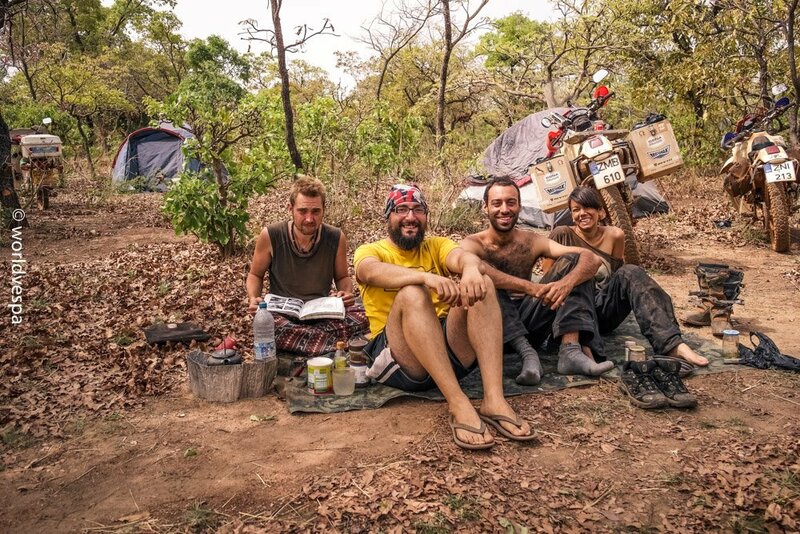 Even in that case, we usually find a campsite with no more than 4 euros per day. We don’t follow any strict rules on our journey. Our wallets are so thin that even some sight-seeing among monuments is a forbidden luxury. We see so many things on our way, that we find it unnecessary to read a tourist guide and see the attractions. One of those tourist guides I have downloaded in my cellphone. It’s called “Triposo” and it has all the information we need: some history, maps, currency and basic information. We were talking with Liam about what places we could visit and we saw on “Triposo” that the town Banfora was one of the recommended places. 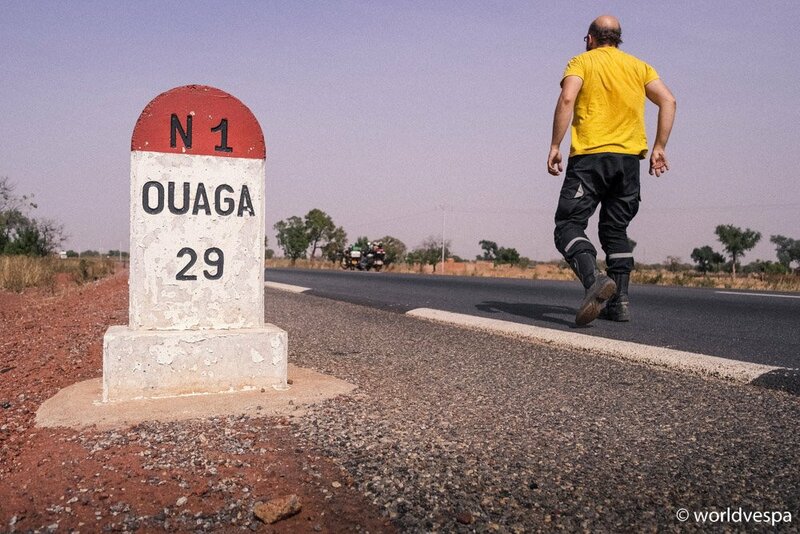 It was only few kilometers away from Ouagadougou and was checked as a route of distinct beauty. So, the decision was taken: we would go there. That was the way we used to take our decisions, fast and with not too much thought. 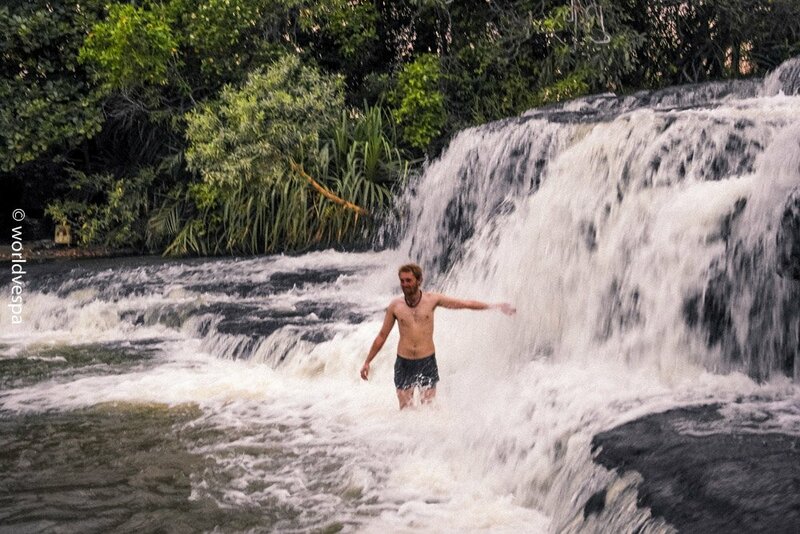 In Banfora, the thing we liked was that there was water everywhere: lakes, rivers, waterfalls…Time for a bath! With no GPS but with a traditional paper map and with a free application on my cellphone (a Dutch rider I had met, had helped me to install it, and I thank him for that! ), we headed to the waterfalls. The application is called “Open Street Maps” (OSM – you’ll find it at play-store) and it’s completely free and very well informed and updated. The maps are also free and can be used on any GPS (for your car or your motorcycle). I had this application downloaded on my cellphone for only a few days, so I wasn’t yet familiarized with it. So, to our surprise, we came across a fact we were not expecting: we had to drive on dirt road for about 100 kilometers (not of very but quality, though). The only thing we didn’t like, was that red dust which covered us after some minutes’ driving. We would even hold our breaths every time we came across with a vehicle from the opposite direction. On the next afternoon we arrived and we realized how green was the scenery! Everything was green! We had missed green so much! The “campsite” where we spent two nights was near the waterfalls, but actually, there wasn’t a campsite any more: almost abandoned with no water or electricity and only 2-3 mud huts and a hole on the ground used as a toilet. However, the people who were working there, were friendly and hospitable – but too curious (I used to be a child, too. I understand!). We spent 1500 CFA per person, per night for the campsite plus 1000 CFA we had to pay to enter the area. According to my tourist guide, around 3000 people visit the area every year. The first 2 days we couldn’t find any of them, but the 3rd day we found ourselves among tourist buses, school buses and many travelers who had gathered there. Luckily, we had already washed ourselves and our clothes in private, the first 2 days. 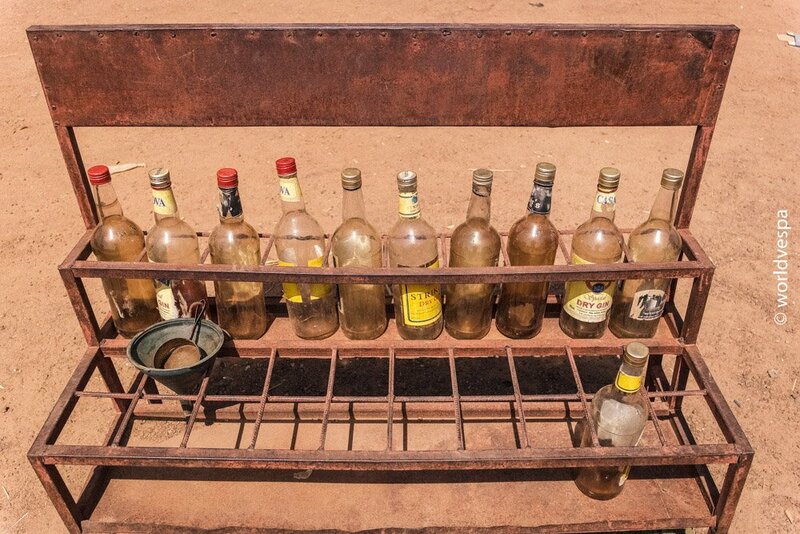 So, with our conscience…clean, we were now on our way to Ouagadougou. After 5 days and a small break for a freddo cappuccino caramel machiatto, in the beautiful town of Bobo Dioulasso, we were finally entering Ouagadougou! The city with the most typical African name I had heard. 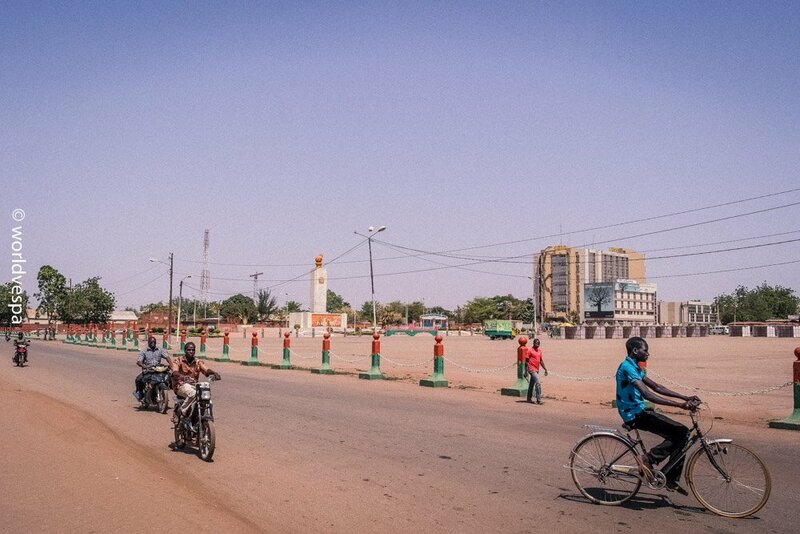 From what I had read about Ouagadougou, I had pictured it in my mind as a chaotic place. The last days before I left from Greece, the chaos in Ouagadougou and its name, had become an inside joke between me and my family. 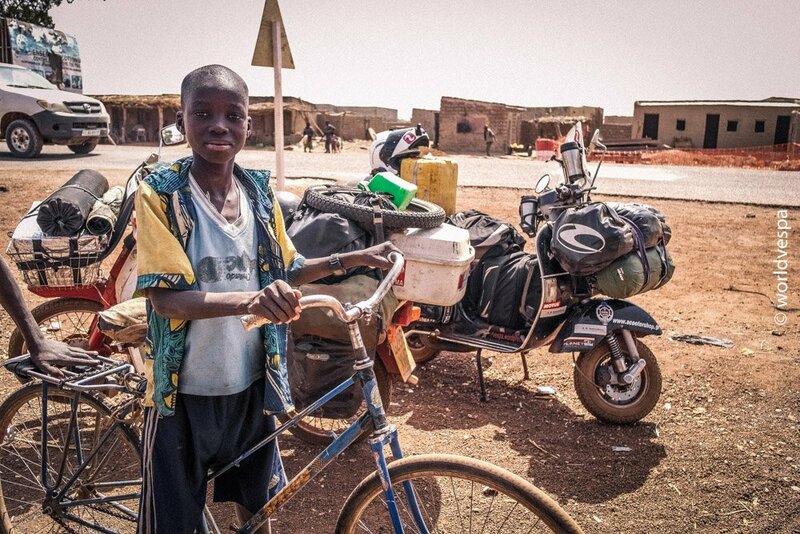 “Send me the note to pay my taxes to my new address in Ouagadougou, ask the lion where I live!”…that was the thing we were joking about but the reality was completely different: no lions, no chaos! 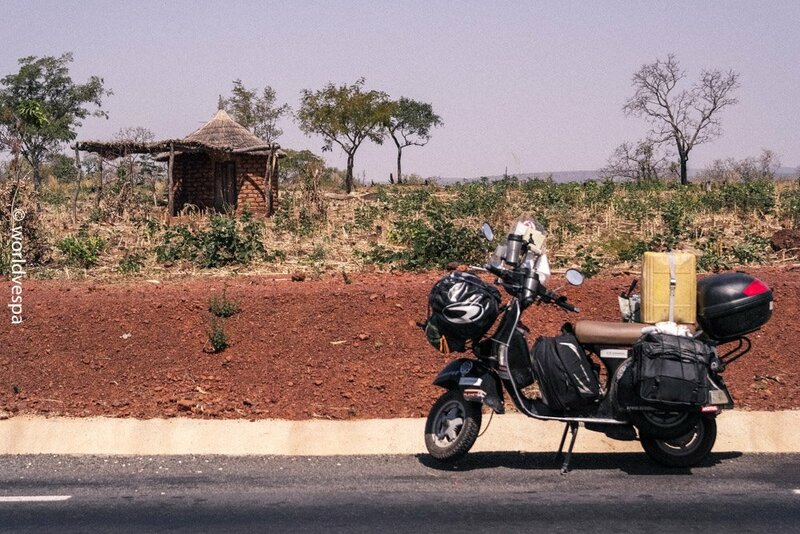 The difference between Ouagadougou and a big, busy city in Greece was not that big! Nothing to do with all that information I had read, but when I saw the look on Liam’s face and later, the same look on a German guy I met, I realized that what I perceived as normal and acceptable, had nothing to do with what a Western European thought. 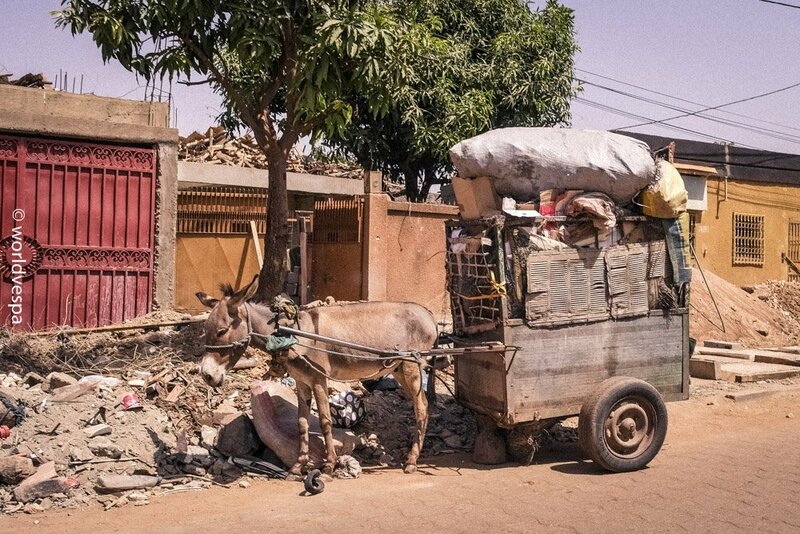 Send me the note to pay my taxes to my new address in Ouagadougou. Ask the lion where I live! 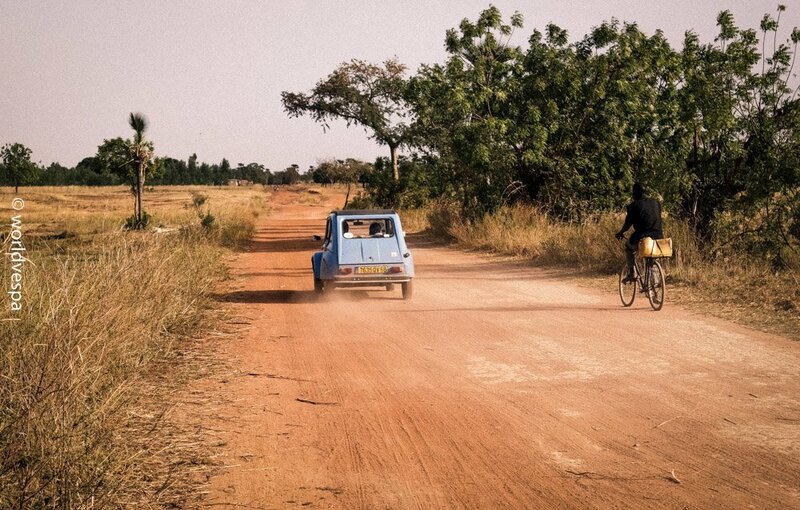 Driving in Ouagadougou was an other difficult thing for Liam. He almost had an accident once or twice (the trucks and the buses were the worst). He finally realized what I had been telling him: only the strong ones survive in these streets! The bigger the vehicle the least it will respect your motorcycle. That was something I was already more familiar with. 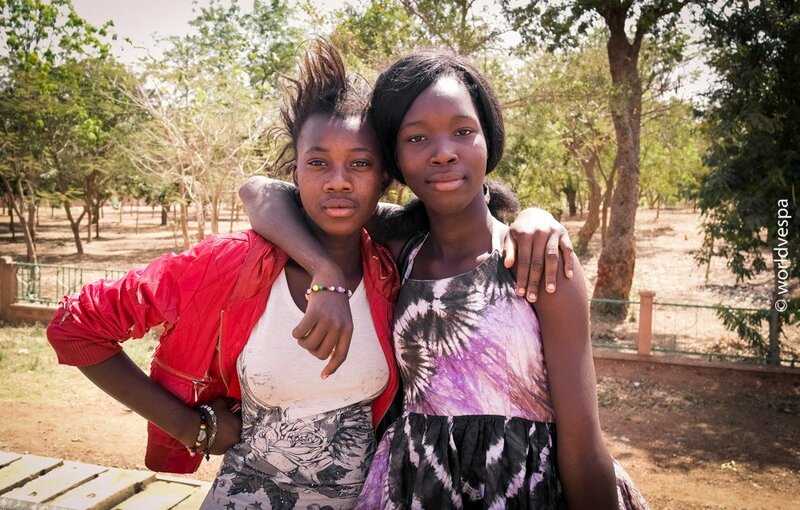 We spent 2 weeks in Ouagadougou, mostly waiting for our visas for Nigeria. The interview we had to give in order to acquire our visas was hilarious…he thing that was not hilarious at all was the price for the visas: 74,500 CFA. 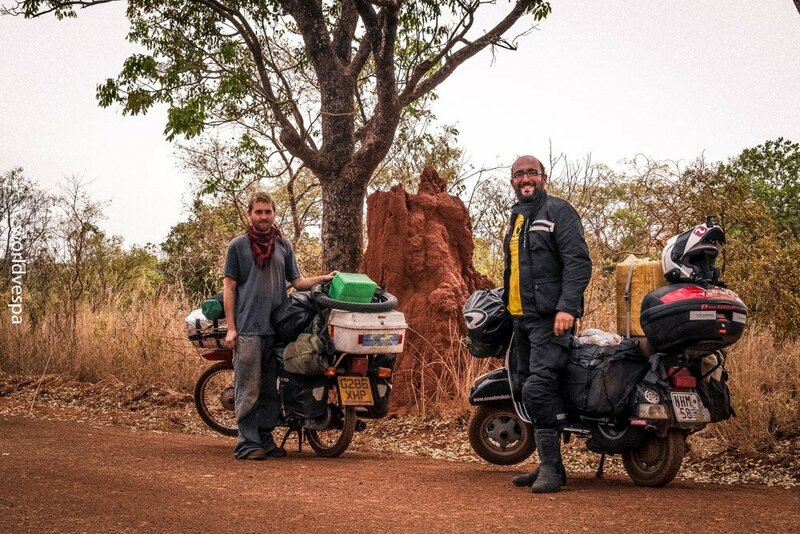 We didn’t manage to take visas for Togo and Benin and as I was waiting for Liam to check if everything is ok with his motorcycle, I had my first serious addiction: mangoes! I was avoiding even to try one for so long, so the first time I tasted it, I realized I couldn’t get enough of these delicious fruits! We also had some great time at “Les Lauries”, a guest house next to the cathedral in the city center, which was under the responsibility of nuns and before we got it, the 2 weeks had passed! The last 2 days in Burkina Faso we managed to meet at last with Christina and Elias, two Greeks who are also traveling around Africa and we spent together a beautiful “Greek” weekend! Καιρό είχα να γελάσω έτσι με τον βρωμυλο ταξιδιώτη και την μασχάλη… “Σας πάω” που έλεγε κ ο Χριστόδουλος..
Συνουσίασέ τα αυτή η μασχάλη ρε Γάλλε! Ούτε εγώ ο ίδιος δεν με αντέχω για περισσότερη από μισή ώρα! Άργησες λίγο να μας γράψεις νέα σου αλλά κάλυψες το κενό αυτών των ημερών με το παραπάνω με όλες αυτές τις φωτογραφίες! Είχατε και έναν Γερμανό στην παρέα σας και έναν άλλο αν θυμάμαι καλά.Δεν ανέφερες κάτι γι αυτούς. Καλά με τον Liam κάνετε πολύ καλό δίδυμο πάντως πιστεύω. Αυτός σε βοηθάει να είσαι πιο χαλαρός και να χαίρεσαι περισσότερο τις απλές στιγμές με το απόλυτο χύμα στυλάκι που έχει από τι έχω καταλάβει και εσύ τον βοηθάς να είναι λίγο πιο οργανωτικός και να κάνει κάποια πράγματα και να δει που αλλιώς νομίζω δεν θα τα έκανε. Ναι, τον Γερμανό θα τον συναντήσουμε πριν μπούμε Νιγηρία, και θα την περάσουμε όλοι μαζί. Ο Ολλανδός, αν εννοείς αυτόν, είναι με GS1200 οπότε δεν μπορούσαμε να τον περιμένουμε! Τους ποδηλάτες (Μαξίμ & Καταρίνα) τους ξαναπετύχαμε. Κάπως έτσι δουλεύει το πράμα με τον Άγγλο!